They say Luxury should be lived in…Living in style and luxury in Dallas has never been easier and more accessible. From the convenience of being able to work out without driving to the gym to top of the line spa grade amenities to just take the edge off after a long day at work or the stresses of modern life, home is increasingly becoming where the heart and opportunities for pampering yourself can be found. 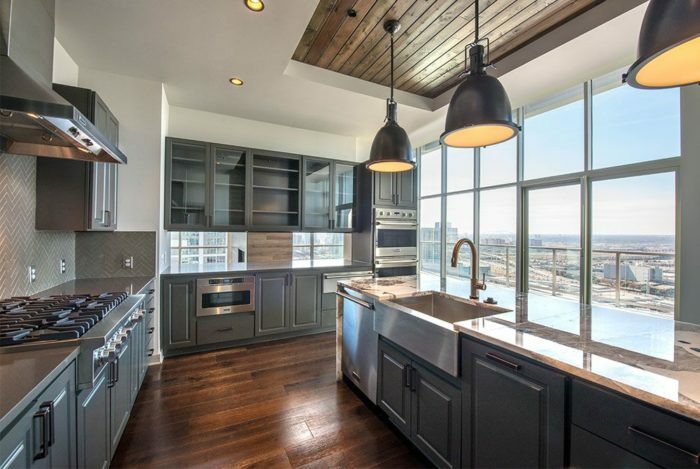 The following properties offer the best that Dallas luxury apartments have to offer in the most talked about trendiest Uptown nearby neighborhoods. 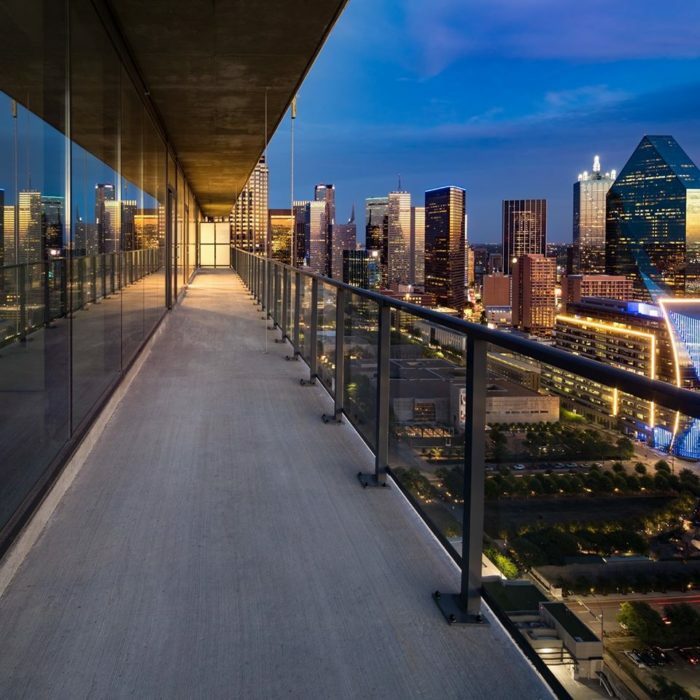 Check out five of the most exclusive penthouse properties available in Dallas with a range of options for every lifestyle, taste, and preferences, and personal interior design aesthetic….and, floor to ceiling windows to die for! Pet and luxury lovers rejoice. The Ascent Victory Park offers handcrafted luxury and high-end amenities in the heart of Dallas – and also happens to be pet-friendly, because your furry family members deserve the best that Dallas luxury living has to offer too! If you’re looking for luxury living in close proximity of Uptown Dallas and are a fan of rustic, rugged-chic design that strikes a warm and homey feel with big city luxury and accents….the Ascent Victory Park will be right up your alley. Natural texture and tiles mixed with touches like floor to ceiling windows with sweeping views of the Dallas skyline make this property a great option for anyone who wants to feel the comfort and warmth of a rustic lodge with access to everything that the city and its surrounding areas has to offer. As if the property’s many amenities were not enough, the dining and entertainment options in the neighborhood might just help you seal the deal. One of the many restaurants of note is chef Nick Badovinus’s Town Hearth, a modern Dallas steak house with a raw bar and a swanky cocktail bar. If you’re looking for a penthouse with a little side of built-in community, say hello to your new home at The Katy Victory Park. This one of a kind high-rise is located between Victory Park and the Design District, with modern amenities and benefits like an onsite coffee shop and juice bar perfect for getting in a little remote work or (or unplugging before or after a hectic day), a dog park help your fur babies get their exercise and make some friends, common areas and lounges to socialize and meet your neighbors, and a bike shop and club for when you want to get out of the car and cycle your way around the neighborhood and the Katy Trail at Victory Park Overlook. The Katy is located within close proximity to some of Uptown Dallas’ best restaurants and bars, coffee shops, grocery stores, culture, and shopping. Check out nearby Sprezza restaurant for a little taste of Tuscany in the heart of the Arts District in Dallas. The Residences at Park District are described as a masterpiece of urban innovation in uptown Dallas, and it’s not hard to see why. With design and amenities that rival the world’s best five-star spas and hotels, the Residence offers personalized bespoke style in the heart of Klyde Warren Park. 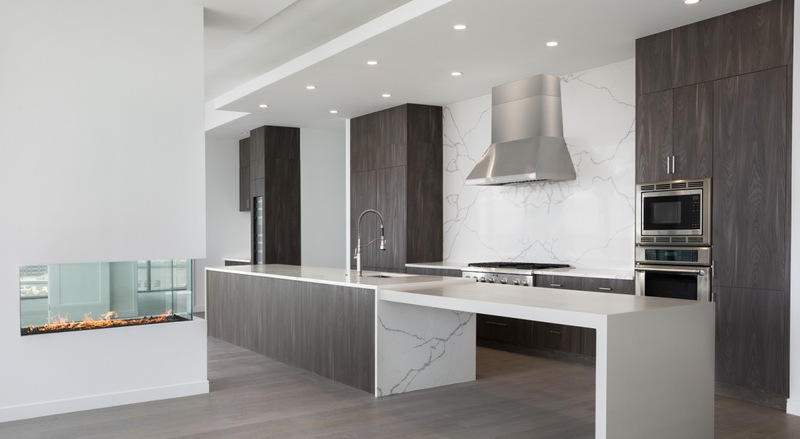 Close to American Airlines Arena and the best dining, retail, culture, and entertainment that Dallas has to offer, the Residences at Park District offer a sophisticated and elegant living experience for the modern city dweller. Go for a taste of Japan at Uchi, where the fish and ingredients are responsibly and sustainably sourced to ensure the best quality – just be sure to make a reservation! If you are looking for luxury living in the heart of uptown Dallas without sacrificing a community feel, the M Line Tower is the place for you. Literally located in the center of uptown Dallas, the property sits at the base of the city’s finest restaurants and attractions and makes the perfect home base for busy professionals looking to spend less time in the car and more time living in a thriving and vibrant community. Head over to Blue Sushi Sake Grill for happy hour or dinner. 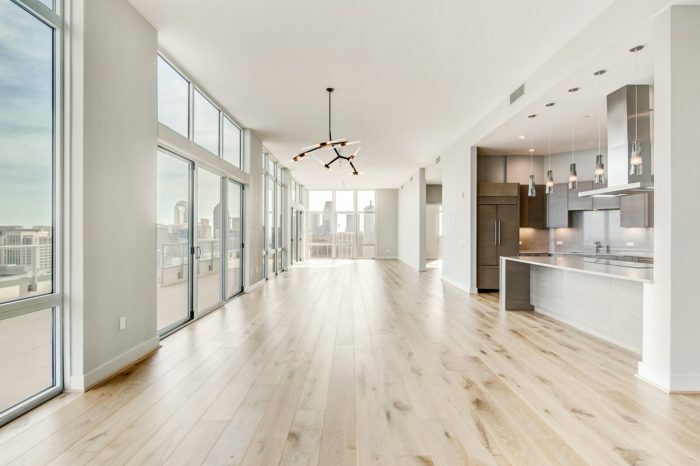 One Uptown is penthouse living at its finest. 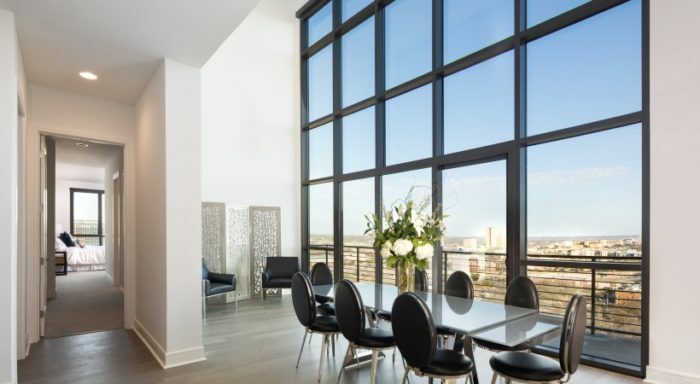 Located in Uptown Dallas, leasing a penthouse at One Uptown is the best way to experience luxury living with everything that Dallas has to offer in fine dining, entertainment, high-end retail, and beautiful parks and outdoor spaces. And then there are the luxury accents, features, and amenities. Circo Dallas is the place to be for classic Italian cuisine with freshly sourced and imported ingredients that bring a taste of coastal Italy to Dallas. 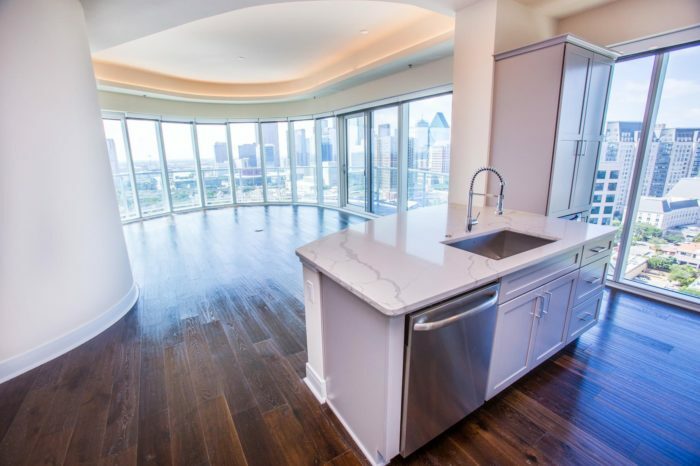 Discover the best penthouse and luxury living that Uptown Dallas has to offer. Contact Live Dallas to learn more.